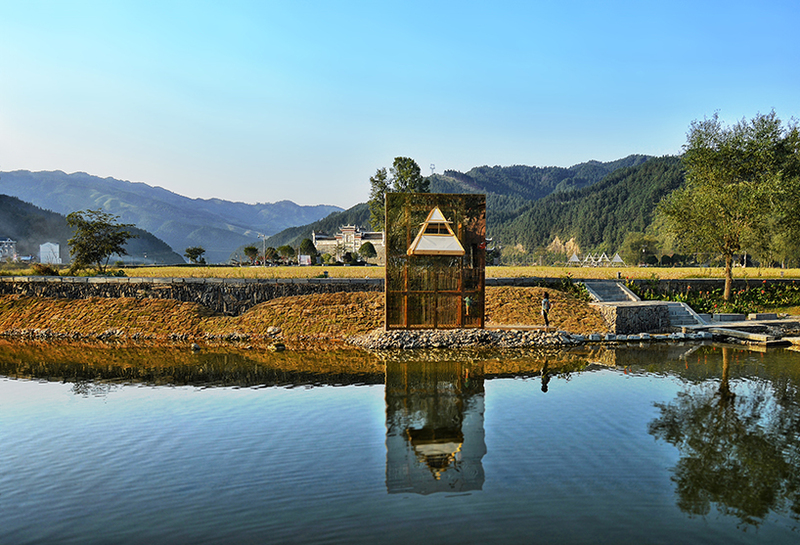 developed by architect li hao, ‘shelter: the mirrored sight’ tells the story of the longli people — a vernacular community that has experienced isolation and tension in southeast guizhou, china. 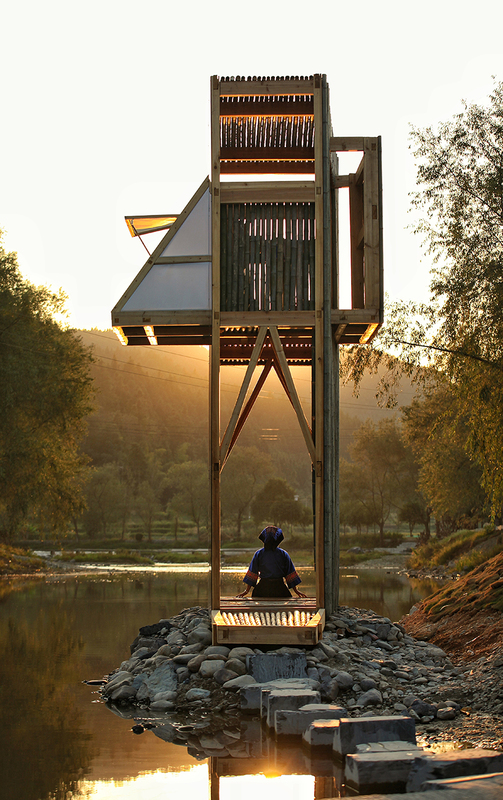 located along the longxi river — outside the old town of longli — the project is realized as part of the shelter series architectural installation initiative, bringing in a new regional landmark and viewpoint where people can rest and enjoy. li hao’s installation reflects on a critical period, when a military invasion by the ming group took place in longli 600 years ago. 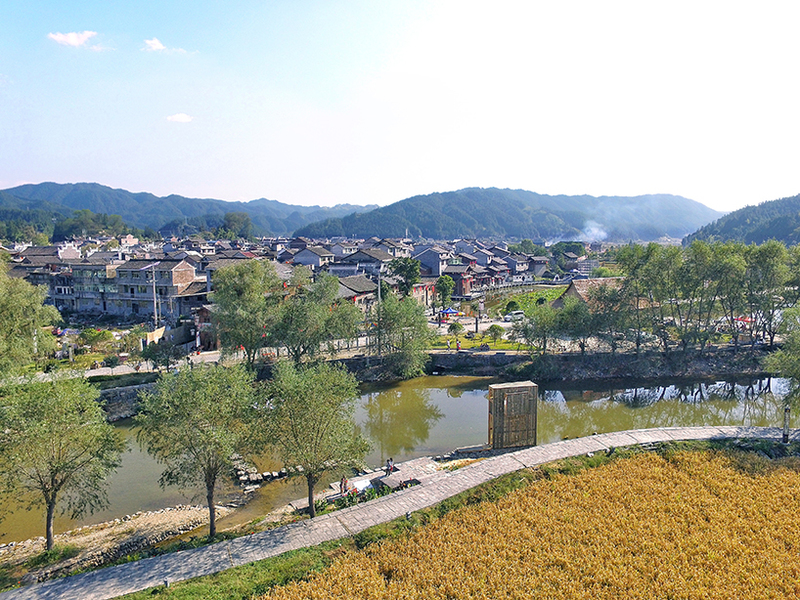 after centuries of occupation, the town has developed a unique architectural and urban layout that set it apart form surrounding villages. 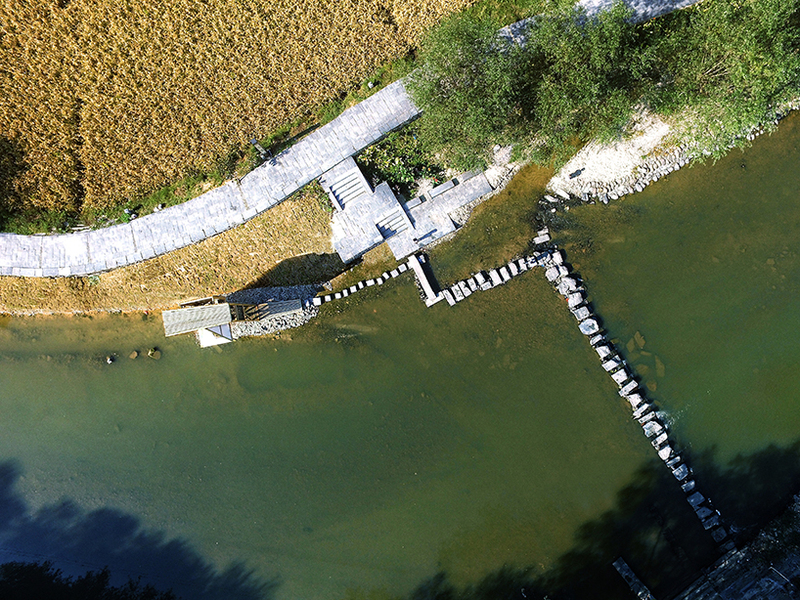 for tourists, this ‘lonely islet’ — as expressed by the famous writer yu qiuyu — appears like a cultural symbol. however for the local residents, the town’s distinct architecture represents their never-ending survival. over the years, the longli people have been separated from and brought back to the neighborhood many times — consequently breaking them out of the past and creating a local diversity. the structure comes as a simple shape narrowing eastward, and is composed of two floors that accommodate only one person: the lower one invites people to stay and rest, while the upper has a pyramidal inner space and provides different viewpoints across the landscape. the western window frames the longxi bridge built during the ming dynasty, while the eastern one overlooks the scholar bridge memorial — realized as an homage to the ancient local scholar wang changling. 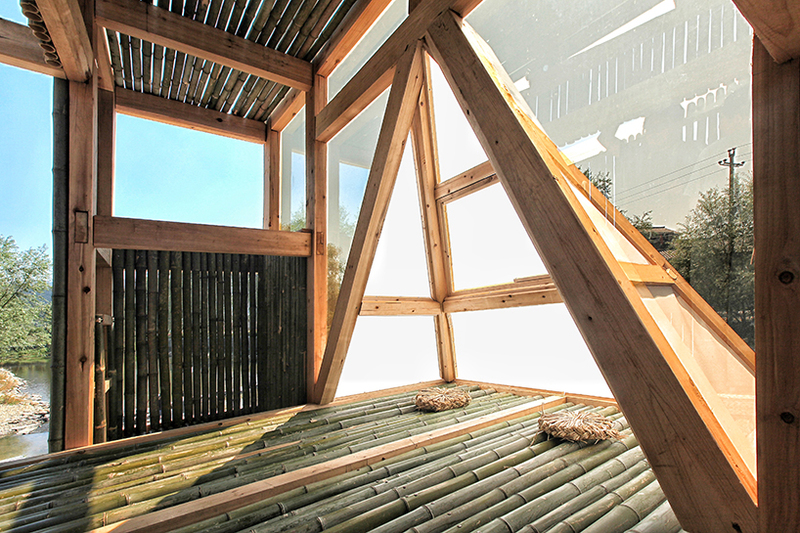 finally, the scenes captured in both windows create important local feng shui imageries. 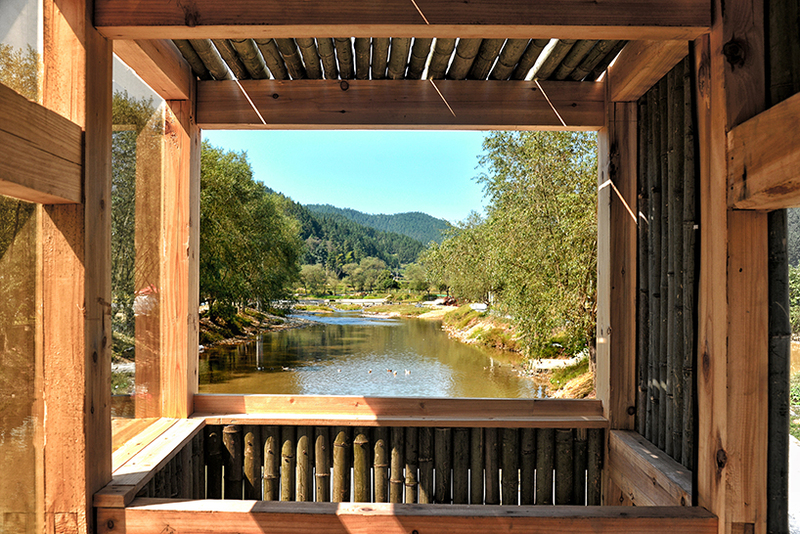 during construction, architects have used completely different materials to distinguish between northern and southern façades: densely covered by local bamboo wood, the northern façade parallels the longli town axis, while the southern façade — cladded with single-transparent glass — parallels the longxi river. 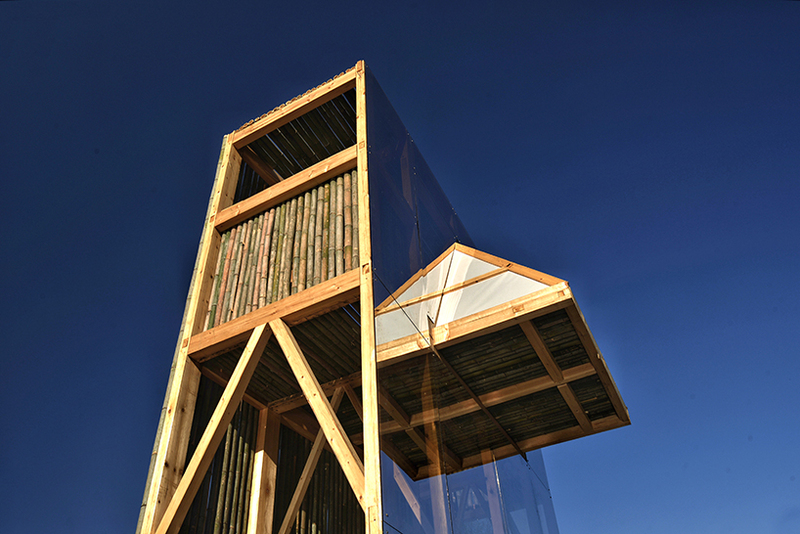 this combination of materials, along the orientation and location of the shelter, offers the visitor an unusual final experience that plays on optical illusions. 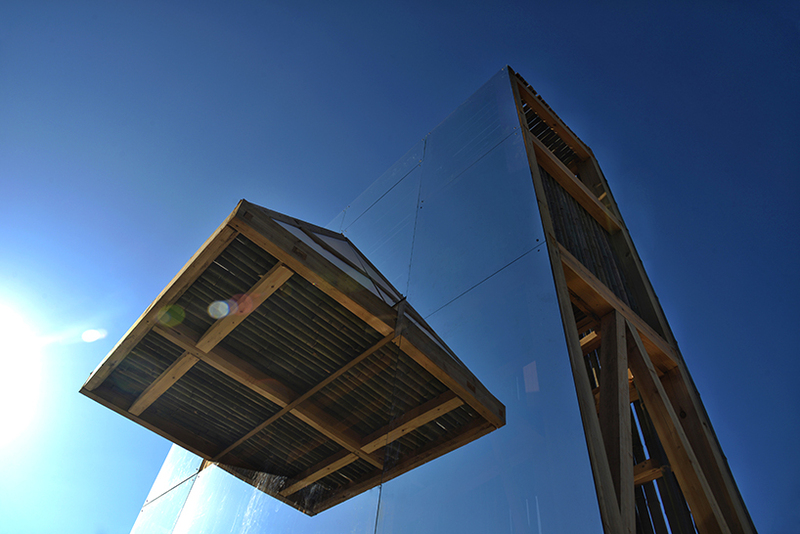 the glass façade mirrors the town’s image by reflecting scenes of daily life, and thus creates a shadow of reality. this particular effect gives people the impression of being inside a complex mirror system — making it difficult to distinguish between what is real and what is not. 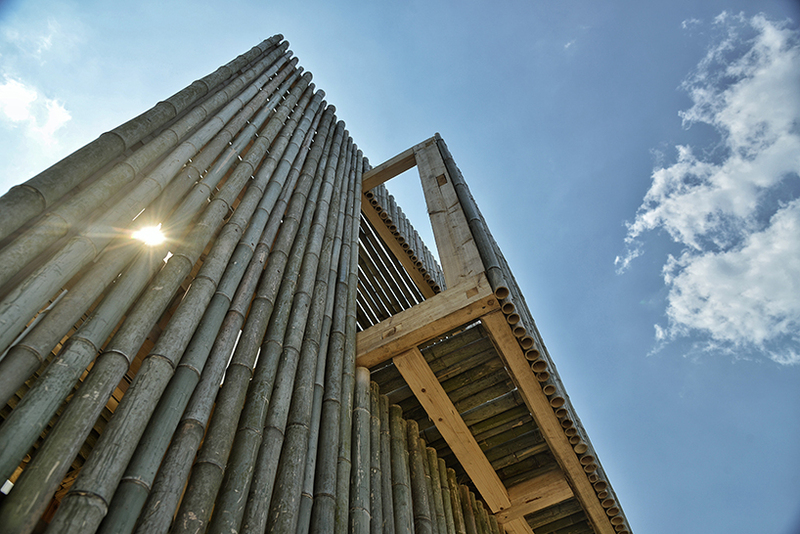 in other words, the installation is built upon the inter-related images of the town of longli. 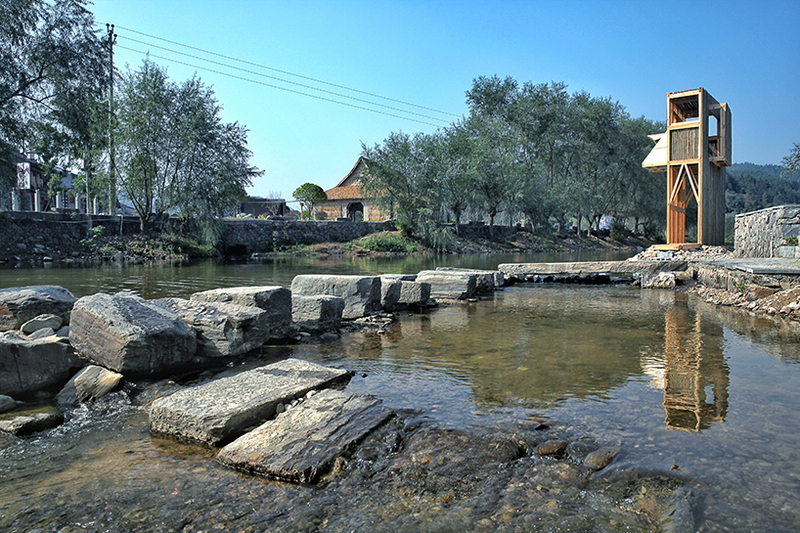 physically speaking, the shelter is connected to the town by an old stone bridge that locals traditionally go across to farm, fish, do laundry and wash dishes. 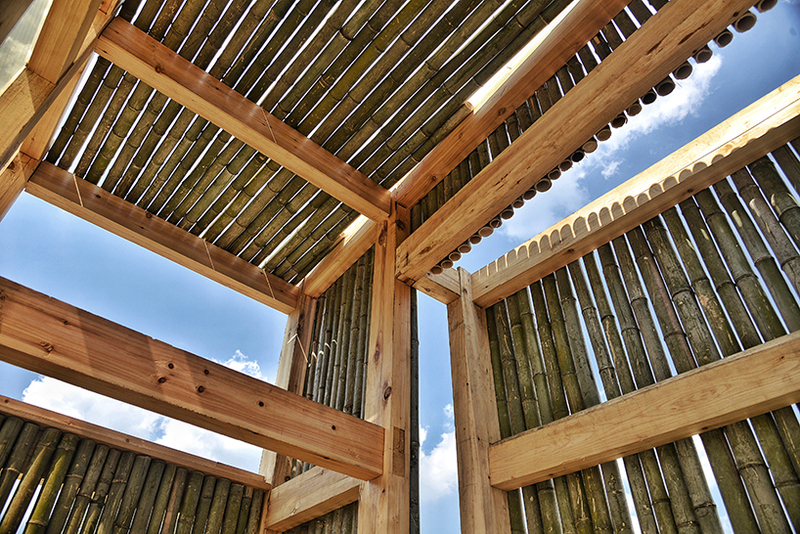 this creates a seamless transitional space from the man-made environment to the natural landscape. 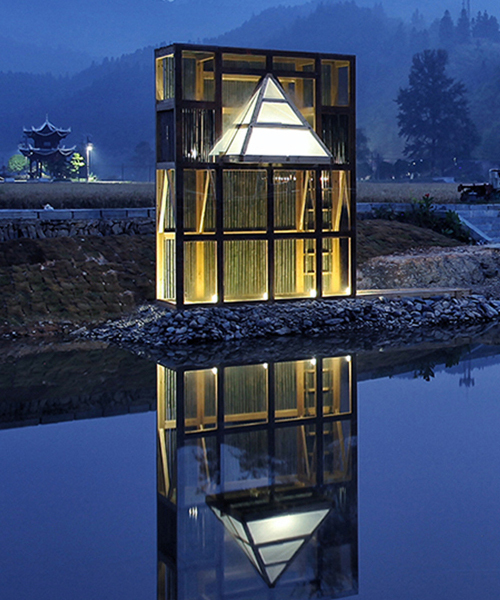 but after dark, the shelter shows an utterly different presence as that of daytime: the overall shape blends into the nightscape and the pyramid emerges with its mirrored image, seemingly floating in the air with its water reflection. hence, an imagery of the lonely islet is recreated.